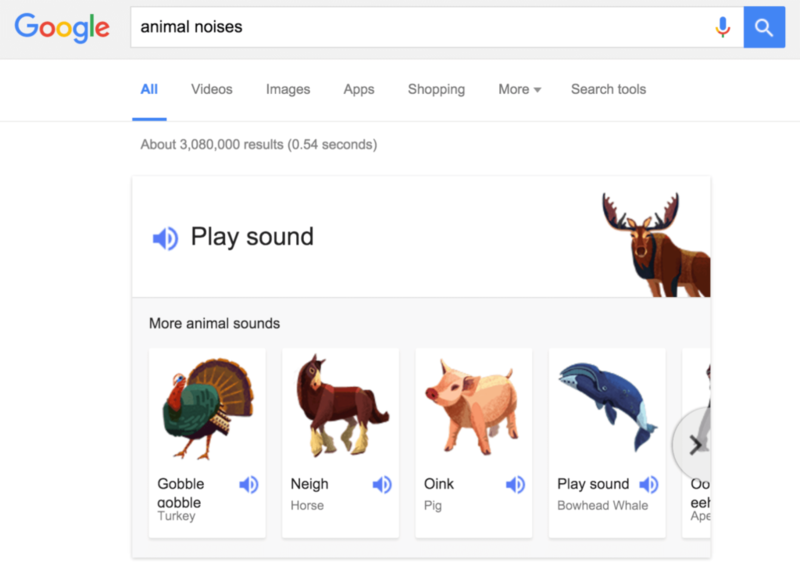 Google has recently added the ability to search for [animal noises] on desktop and mobile search. You can listen to the sounds of 19 different animals, including monkey, cat, cow, duck, elephant, horse, lion, moose, owl, pig, raccoon, rooster, sheep, tiger, turkey, turtle, bowhead whale, humpback whale, wolf and zebra. 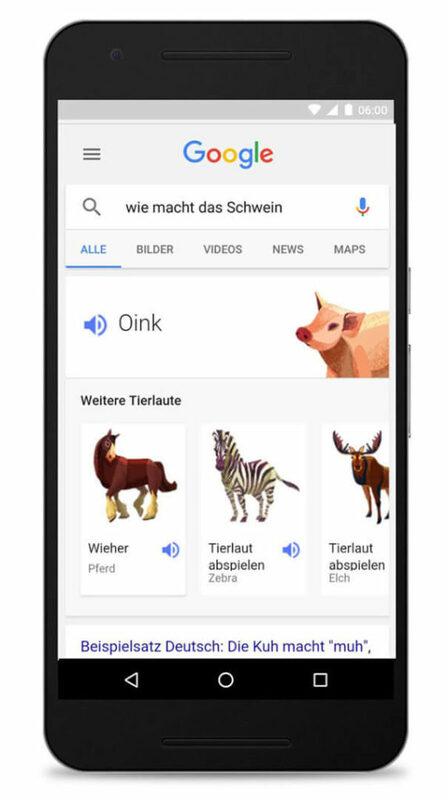 Google will bring up a carousel of animals with a speaker icon next to each one. 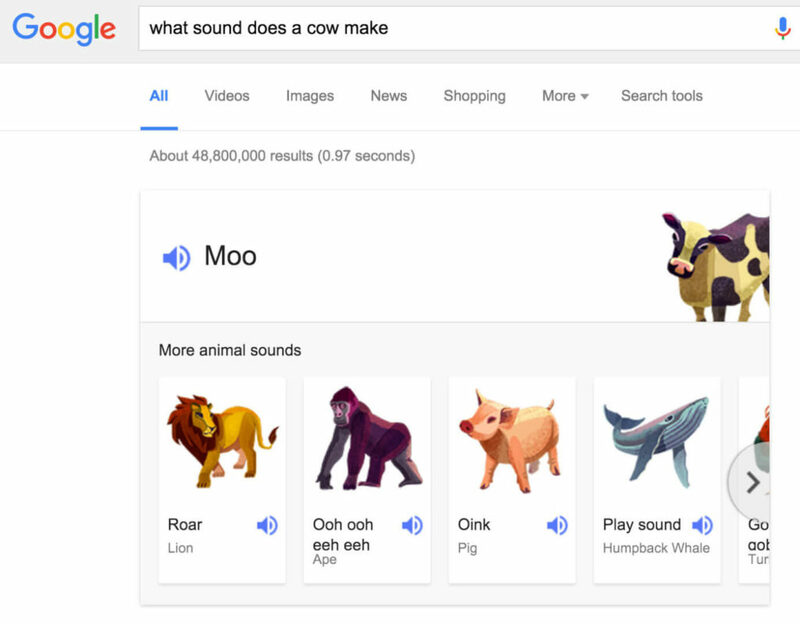 When you click on the speaker icon, you can listen to the sounds/noises that specific animal makes. The feature reportedly went live sometime in mid-January, but I didn’t see much coverage of it until I spotted it on Google+ yesterday.